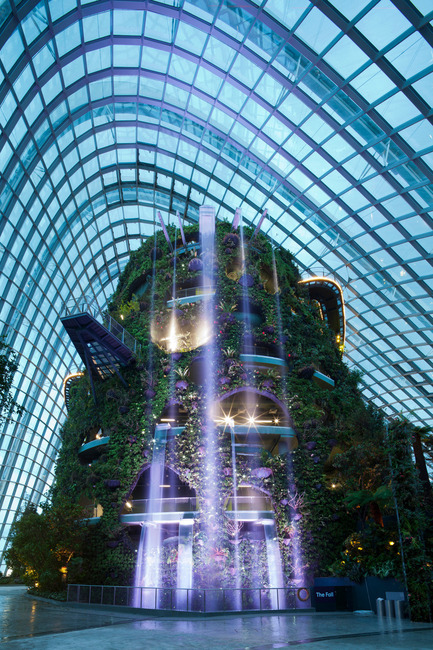 Cooled Conservatories at Gardens by the Bay, Singapore, has won the World Building of the Year Award at the prestigious World Architecture Festival (WAF) Awards 2012. 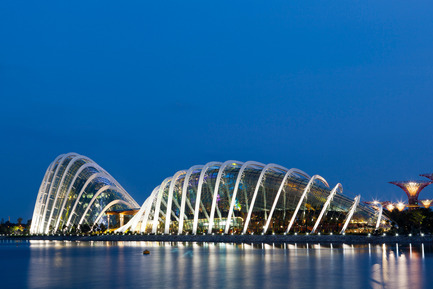 The project was designed by Wilkinson Eyre, Grant Associates, Atelier One and Atelier Ten. 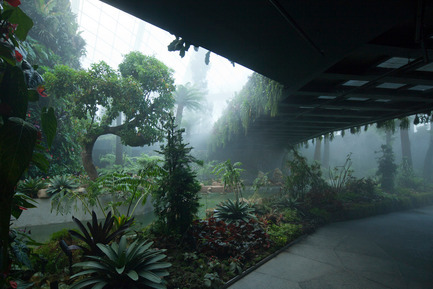 Government’s vision of transforming Singapore into a ‘City in a Garden’. 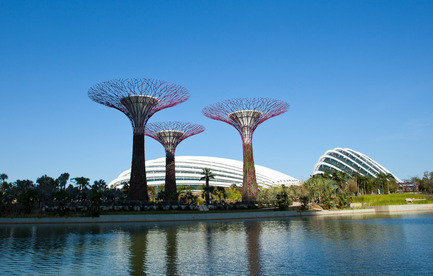 At a total of 101 hectares, the Gardens by the Bay project comprises three distinct waterfront gardens – Bay South, Bay East and Bay Central. 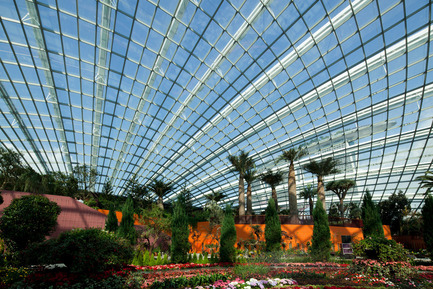 Sitting in the heart of Bay South Garden, the Cooled Conservatory Complex provides a spectacular, all-weather attraction, comprising a 1.28 hectare cool dry conservatory (the ‘Flower Dome’) and a 0.73 hectare cool moist conservatory (the ‘Cloud Forest’). 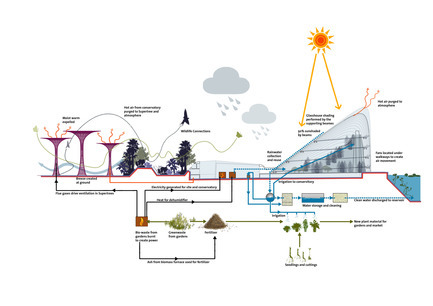 Each has its own distinct character, but both explore the horticulture of those environments most likely to be affected by climate change. 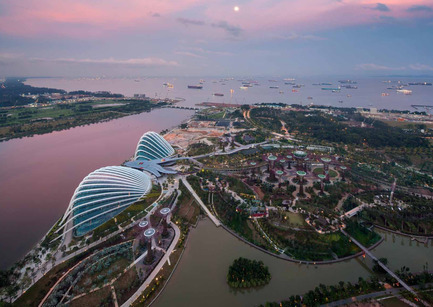 This is the 5th year the World Architecture Festival Awards have been presented, and by the end of the awards 35 WAF Awards will have been announced across the three main sections of Completed Buildings, Landscape and Future Projects. Projects entered this year, against a challenging economic climate, reflect the festival’s theme of ‘Rethink and Renew’, highlighting the need for innovative and creative approaches to existing buildings and areas. 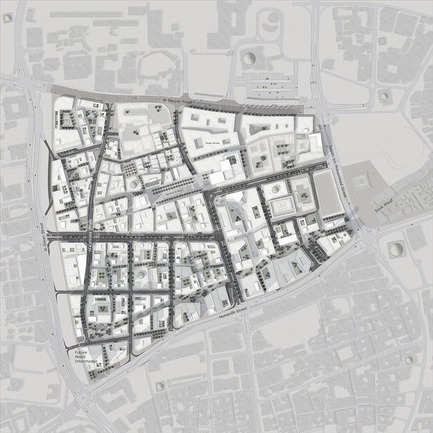 The theme also questions whether it is time for architecture to rethink whether it is fulfilling its intended role, and if it’s having a significant impact on those who ultimately use the resultant buildings and spaces. 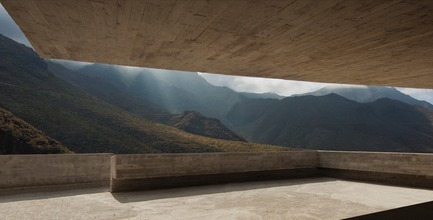 The awards programme will culminate with the announcement of the coveted ‘World Building of the Year’ award, which was selected by the festival’s super-jury. 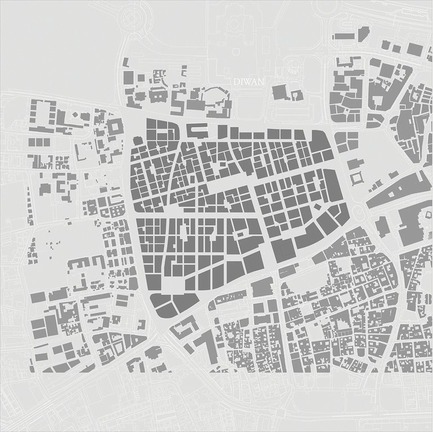 It was chaired by Neil Denari, Principal of NMDA (Neil M. Denari Architects Inc). 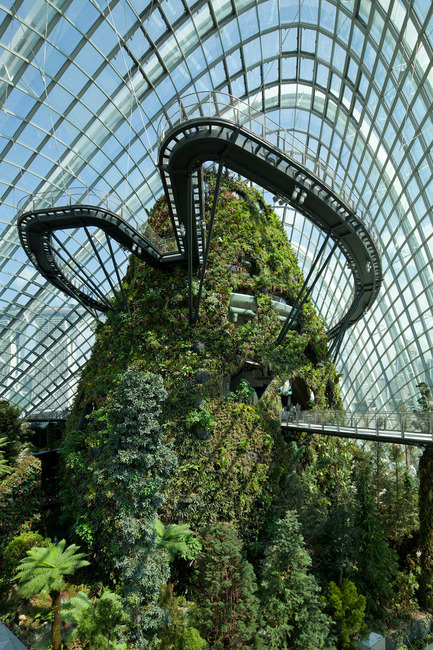 The highly esteemed international judging panel also included Ben van Berkel, Moshe Safdie, Mok Wei Wei, Jürgen Mayer, Yvonne Farrell and Kenzo Tange. Previous winners of the World Building of the Year Award include Luigi Bocconi University, Milan, designed by Irish practice Grafton Architects (2008), Mapungubwe Interpretation Centre in South Africa, designed by Peter Rich Architects of Johannesburg (2009), MAXXI (National Museum of the 21st Century Arts) in Rome, designed by Zaha Hadid Architects (2010), and the Media-TIC building in Barcelona, designed by Cloud 9 (2011). 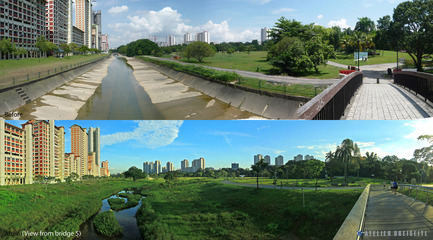 Kallang River Bishan Park, Singapore, designed by Atelier Dreiseitl, has won the ‘Landscape of the Year’ Award at the prestigious World Architecture Festival (WAF) Awards 2012. 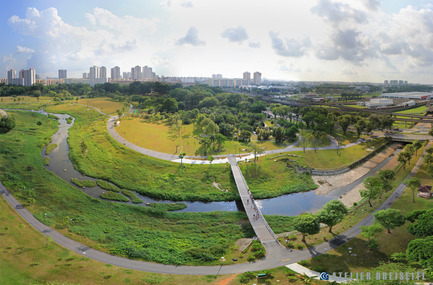 The Kallang River Bishan Park project was designed with a holistic and sustainable approach to integrate the park with the river. 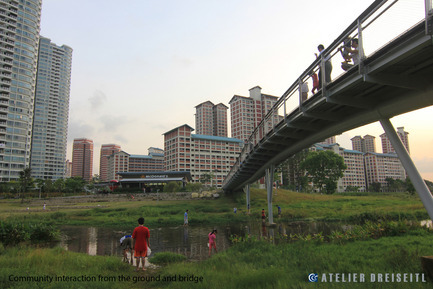 One of the main features of the redevelopment is the restoration of the concrete canal to a naturalised river. 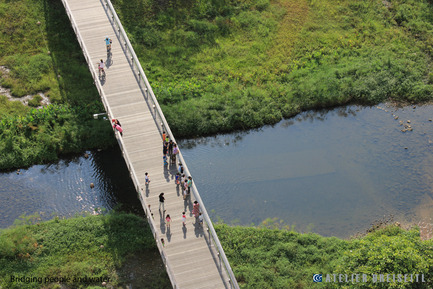 It features bio-engineered river edges using a variety of plants and bedding materials. 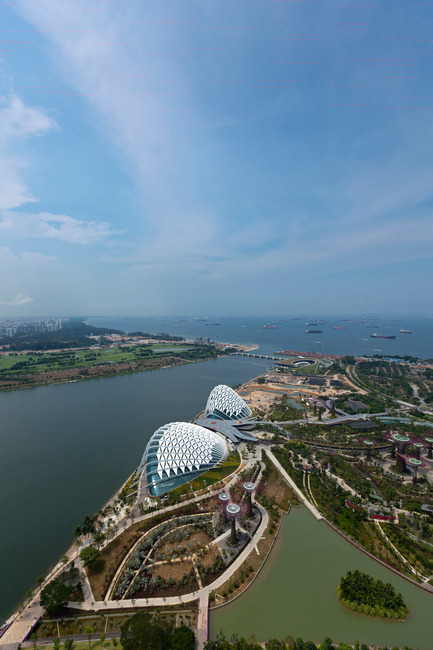 This project is the first of its kind in Singapore, and the integration of the river with the park aims to make the waterway more accessible to the public while creating more spaces for the public to enjoy. 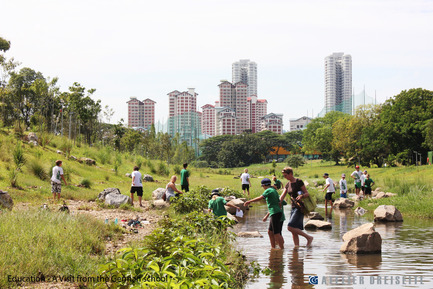 The design employs a flood plain concept whereby during dry weather, the river flow will be confined to a narrow stream in the middle of the river bed. In the event of a storm, the water level in the river will rise and the area adjacent to the river will be used as a flood plain to contain the rainwater. 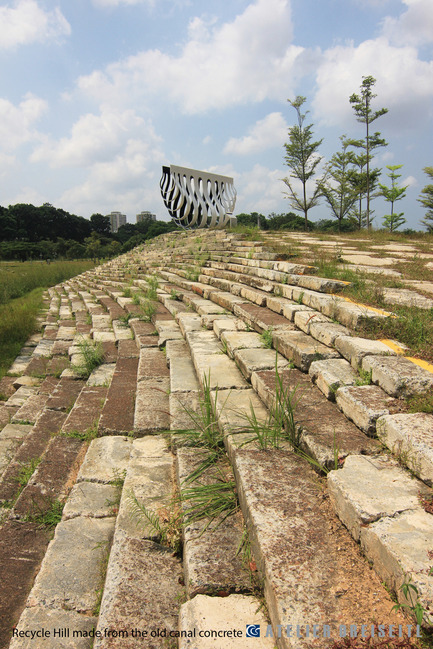 The landscape project was selected by a jury of some of the world's most dynamic architectural and urban designers, Ken Tadashi Oshima, Michael Volk and Isay Weinfeld. It overcame competition from a shortlist of 9 entries. 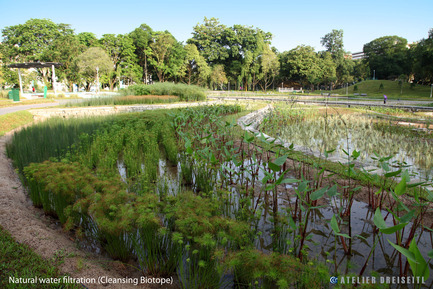 The jury commended it, saying, “This remarkable project fundamentally transforms the urban landscape of Singapore by reversing the fundamentals of 1960s thinking on drainage canals into an ecological and people-friendly urban sponge. 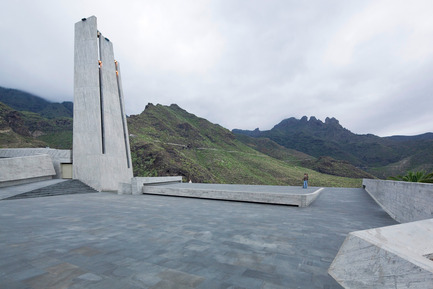 It powerfully embraces the extremes of flooding disasters, while providing a rustic and poetic simplicity with its landscape strategy for the public. 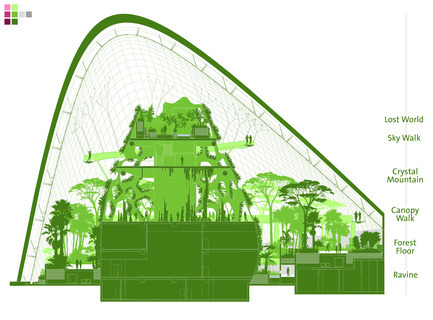 Its large scale with subtle local effects also showcases truly sustainable strategies. Projects entered this year, against a challenging economic climate, reflect the festival’s theme of ‘Rethink and Renew’, highlighting the need for innovative and creative approaches to existing buildings and areas. 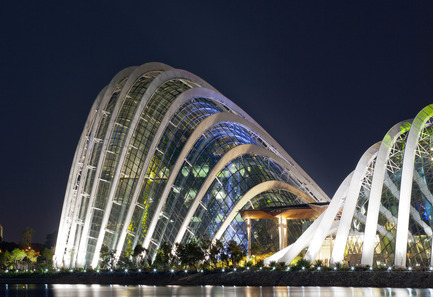 The theme also questions whether it is time for architecture to rethink whether it is fulfilling its intended role, and is having a significant impact on those who ultimately use the resultant buildings and spaces. 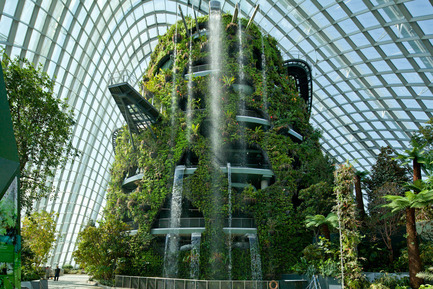 The awards programme will culminate with the announcement of the coveted ‘World Building of the Year’ award, which will be selected by the festival’s super-jury. 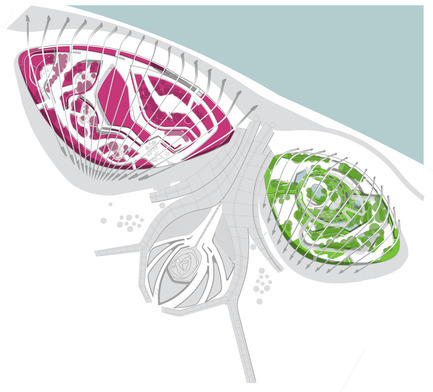 It will be chaired by Neil Denari, Principal of NMDA (Neil M. Denari Architects Inc). 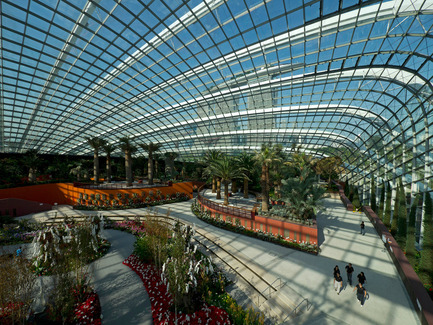 The highly esteemed international judging panel also includes Ben van Berkel, Moshe Safdie, Mok Wei Wei, Jürgen Mayer, Yvonne Farrell and Kenzo Tange. 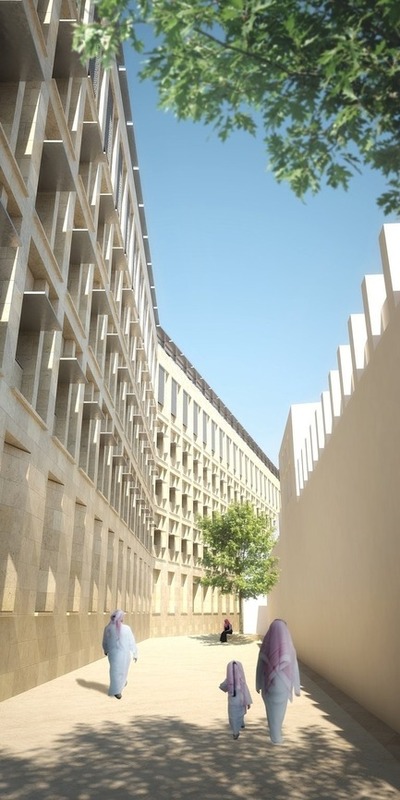 Previous winners of the World Building of the Year Award include Luigi Bocconi University, Milan, designed by Irish practice Grafton Architects (2008); Mapungubwe Interpretation Centre in South Africa, designed by Peter Rich Architects of Johannesburg (2009), MAXXI (National Museum of the 21st Century Arts) in Rome, designed by Zaha Hadid Architects (2010), and the Media-TIC building in Barcelona, designed by Cloud 9. 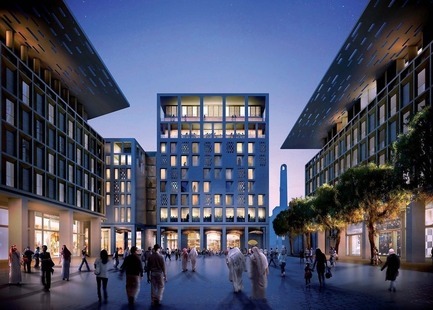 Msheireb – Heart of Doha, Qatar, designed by AECOM, has won the ‘Future Project of the Year’ Award at the prestigious World Architecture Festival (WAF) Awards 2012. 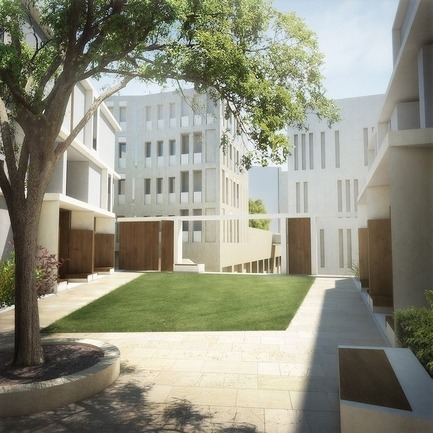 The aim of the Msheireb project is to create a modern Qatari homeland that is rooted in traditions and in doing so renew a piece of city where global cultures meet. 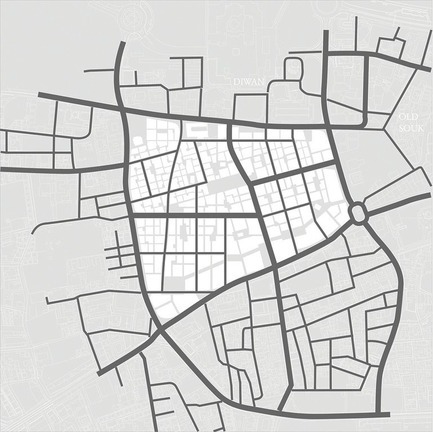 The Msheireb site is located in Inner Doha, less than 0.5 km away from Doha Bay. 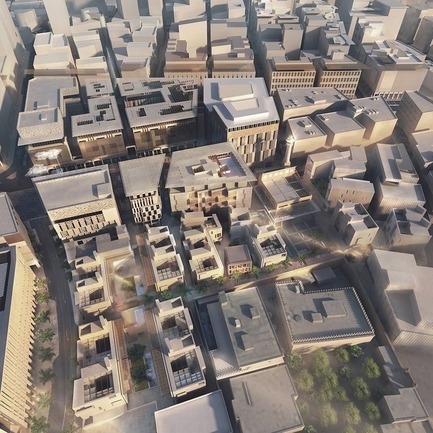 It forms part of a strategic gateway for the city from the West, lying between two key routes into the city which extends through the oldest part of Doha and onto the existing airport, as well as the new proposed airport. 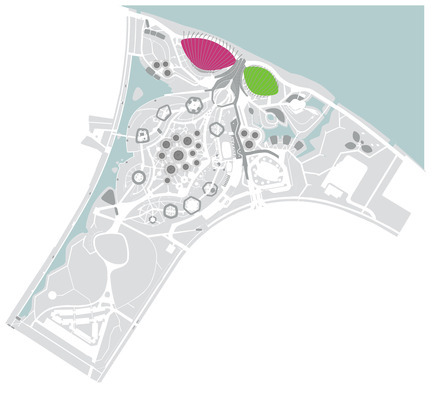 Fundamental to the Msheireb Masterplan is the concept of the grid and the lattice. Designed to evoke memories, the lattice captures the incidental qualities of the fereej, or ‘community’. These sikkator ‘laneways’ are an important reminder of the simplicity and enjoyment of walking within the city. 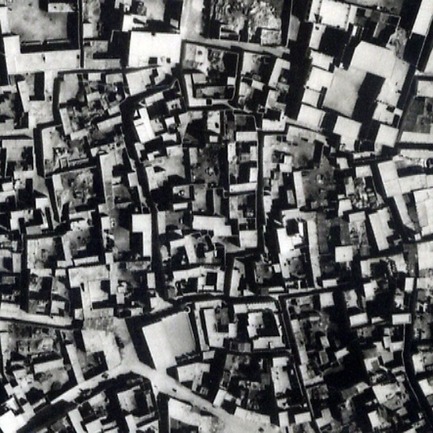 The grid, on the other hand, symbolises the paradigm of Western cities. 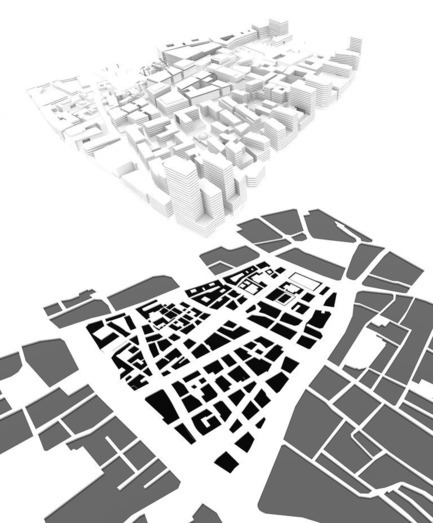 Together, the grid and the lattice form the bedrock of the masterplan that provide continuity between the past and future. 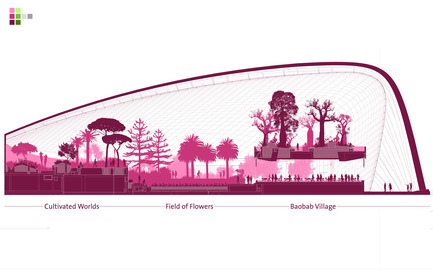 The future project was selected by a jury of some of the world's most dynamic architectural and urban designers. It overcame competition from a shortlist of 11 entries. 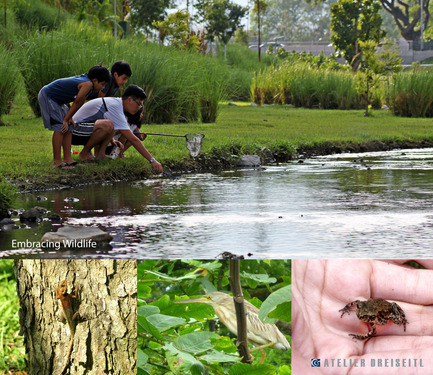 Architecture is a means to bring people to the natural environment. 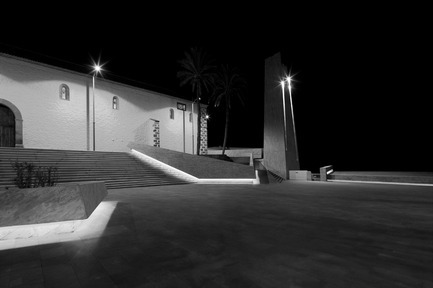 The Museum features a large plaza that characterizes the building. The development of this area was vital to connecting the building to the environment. 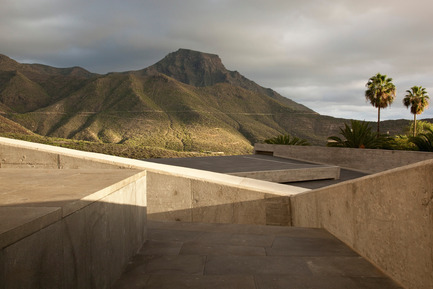 It arose from the idea to strengthen the relationship between the town and the natural landscape that exists around the museum. 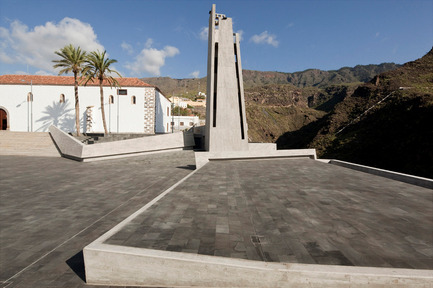 The plaza gives a public space to the town, it is a place where people can eat and enjoy the landscape which is particularly striking for the site lies next to a dry river bed known in as the “Bar- ranco del Infierno”. Deep cuts are carved into the ground from the deluges of rain that occur between dry seasons, the barranco remains dry for a majority of the year- a place of dramatic earth formations and rocks shaped by the yearly waters. The concept of the plaza was to act as a nuclei of public and cultural life: a place like a great gazebo within a spectacular landscape that rises above the ravines. 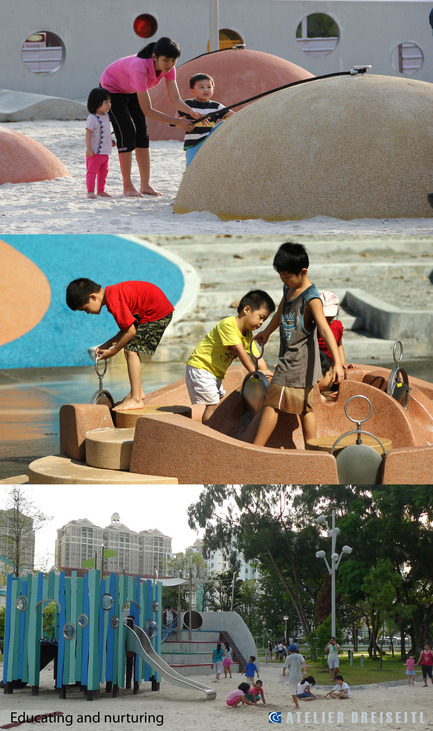 It is a plaza that can be used as meeting point and for civic activity. It is a place to rest or play. 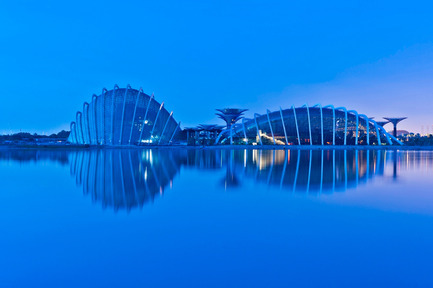 It is its dynamic character and flexibility that creates the environment for the museum. 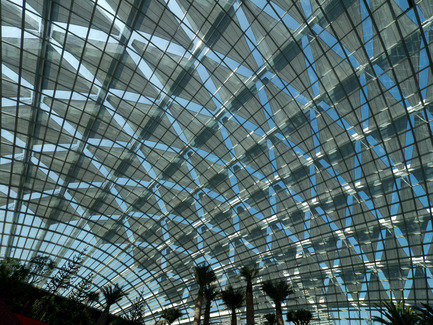 The top of the building frames the plaza, where the cafe is located. 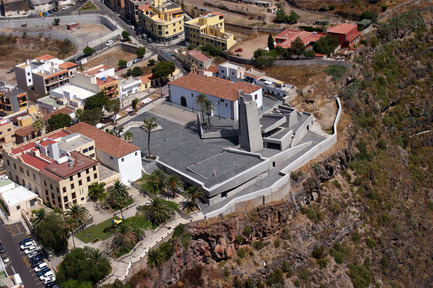 This volume is made of white concrete which overlooks the plaza like a church overlooking a city. 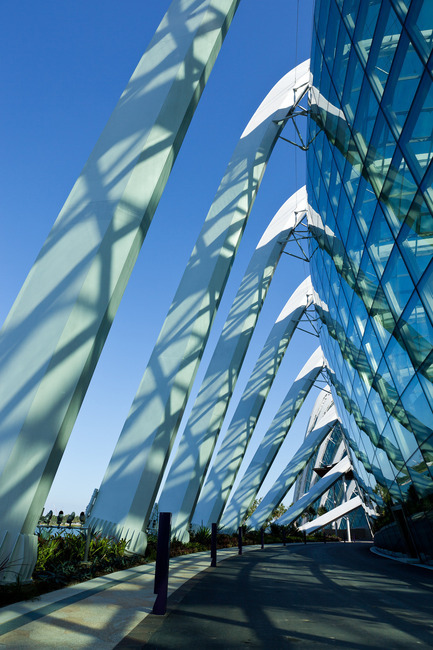 The building uses light colors and contained geometry. The location and design frame the existing layout, while respecting its historic configuration. 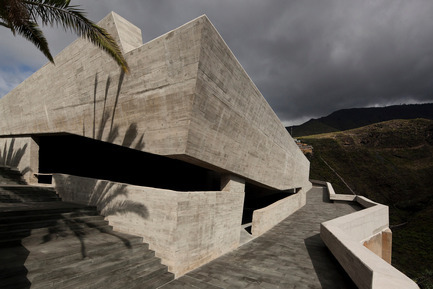 The Sacred Museum exists as telluric architecture, its volume hidden within the depths of the earth. 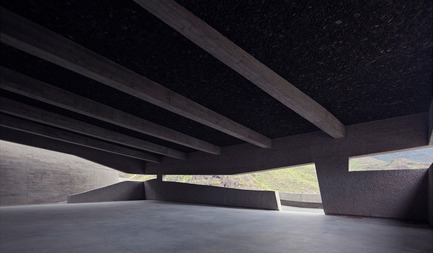 Cracks within its volume create lighting that penetrates into its depths. The galleries act as a journey moving though the earth and feeling its coolness. It exists like a cave, a sacred place of quiet reflection, closed to the outside world. It is designed to evoke a spiritual resonance with the visitors, transforming a museum into a physical and emotional journey. It is a space to find oneself, or lose oneself in reflection.